Smartphones are the most essential part of digital lifestyle of a technology user. It is all about portability and the ability to be online at all the times. Connectivity, communication, sharing online and getting updates from your network is what it is all about. However, with all this your Smartphone is vulnerable to online threats like malware and viruses. These are potential threats to your personal data including your pictures, media files and passwords that can be harvested for identity theft. Hackers are always on a prowl to manipulate software loopholes that will enable them to hack a device. However, various security software are available to protect your Smartphone from any such threats. Let us find out how different brands like iPhone, Google Android, Windows and BlackBerry can opt for better security. Apple iPhone is undoubtedly the most favorable Smartphone in the technology market. For this very reason it does seem to be a primary target of cyber offenders to make installation of security suite essential. Trend Micro, McAfee and Symantec have launched antivirus programs that are compatible for different platforms. If you want to ensure that your iOS phone is safe from any online threat then check out the latest security app at the App store. You will be able to find latest applications by various antivirus retailers. Trend Micro antivirus program is available for free. Android is yet another platform that is most vulnerable to viruses and other threats. The biggest reason is that it is an open source and allows third-party downloads. 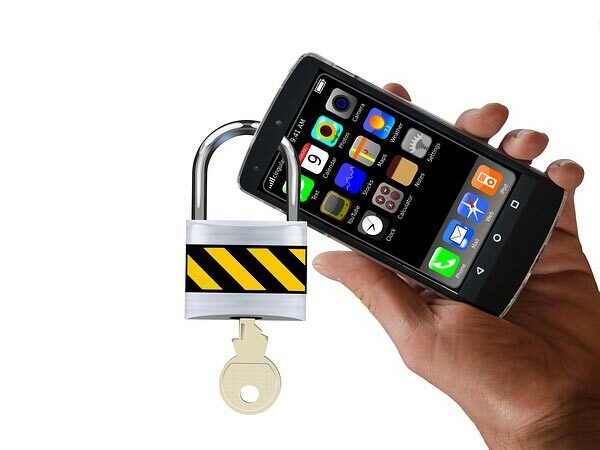 For this very reason it is essential to protect your Android Smartphone from potential threats. The worst part is that often apps are masking malware that wreak havoc once a user downloads it into their Smartphone. Hackers often repackage the original application and resubmit it to the Google Market. This is how malware enters the market and often have high ranking over original app. Now that you are aware of how malware attacks your Android Smartphone so it is the high time that you should take some security measures. You can opt for AVG or another solution can be Lookout Mobile Security. Symantec too have launched security software for mobile security. BlackBerry is the best enterprise phone that is popular for its utility. For this reason designers of BlackBerry have taken many security measures like encryption and other features to secure it. Even though the OS of BlackBerry is designed to be safe and secure yet it is prudent to secure the device with a security program. Additionally, the best part seems to be the security measures including security authentication during installations. However, you still cannot be 100% sure about anything. One thing that you need to keep in mind is that you must be careful of downloading third-party apps or programs. Using Microsoft or Windows phone is what is becoming popular right now. Nonetheless, there are not many who are using Windows 8 or above version as compared to majority of the market that is dominated by other OS users. Maybe this is the reason that hackers are not keen on waging an attack upon its OS. However, you still need to keep your Windows Phone 8 secure and free of a malware. The best security suite that you can go for is the one provided by Kaspersky. This security suite has much to offer especially when it comes to Windows Phones, similar security is offered by Symantec.